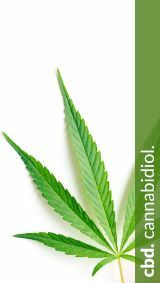 The name “CBDprime” in these terms and conditions stands for PROnatur24 Handels e.U..
You have selected your desired products and would like to order in the shop. Until the dispatch of your order you can correct all entries. Only when you have checked your data on the last order page, send your order to CBDprime. After submitting your order you will receive an individual e-mail as your personal order confirmation for filing. Additionally you will find in this e-mail all further information about the processing of the payment as well as the delivery. The order of the goods takes place by transmission of the completed order form in on-line procedure. The acceptance of the order (conclusion of contract) takes place by the dispatch of the commodity after examination of your order and payment by us. As currency we only accept Euro. The payment is due immediately when ordering. Payment is possible with the payment options available in the CBDprime online shop. Any excessive transfer fees deducted from our account will be charged to the client. Unless otherwise stated, the goods are shipped within 7 working days after receipt of payment. If the goods can not be delivered completely, we will inform you immediately and reserve the right to make partial deliveries or quantity reductions. Any delivery delays from us do not entitle you to claims for damages. For orders with delivery to third parties (for example, as a gift recipient), the customer is the client. If the delivery is made to a third party in their favor or if the recipient of the delivery is enriched by the possession and further use of the delivery in another way, the purchaser and the recipient of the delivery are jointly regarded as the principal. By placing such an order, the customer tacitly assures that the consignee has given his consent. Pay in  days: The payment period is 14 days from shipment of the goods or tickets/ availability date of the service. You can find the complete terms and conditions for the markets where this payment method is available here: Germany and Austria. Slice it: With the financing service from Klarna you can pay your purchase in flexible or fixed monthly instalments according to the conditions stated in the checkout. The instalment payment is due at the end of each month after submission of a separate monthly invoice by Klarna. Further information regarding Slice It including terms and conditions and Standard European Consumer Credit Information you can find here for the markets where this payment method is available: Austria and Germany. Direct Debit: Available in Germany and Austria. Your account will be debited after shipment of the goods or tickets/ availability date of the service ​or in case of a subscription in accordance with the timelines communicate​d. You will be notified about the date(s) by email. You can also pay conveniently in the CBDprime online shop using crypto-currency (Bitcoin & Altcoing). The purchase of the selected products is made in € currency and will be paid after the purchase via crypto currency as a foreign currency at the current exchange rate via the service of Coingate – ie “Bitcoin & Altcoin in the value of the ordered sum in Euro”. In the case of a cancellation of the order, the repayment in the value of the ordered sum in euros. This avoids any price fluctuations for the client as well as for CBDprime. It is up to CBDprime to decide whether the repayment is in euros or as a cryptocurrency in the value of the ordered sum in euros. The final shipping costs for deliveries in Germany and abroad are displayed in the shop shortly before your order is completed in the online shop. In advance, the shipping costs can be queried here. See the detailed right of cancellation page. The received goods are to be examined by the recipient immediately for completeness and correctness. We accept returned goods within 14 days after delivery. The reason for the complaint please in writing via e-mail. In the case of a resignation ask you to return the goods to us. The costs of the return are to be borne by the customer – this also applies to automatic returns (and thus a revocation) of the goods in case of non-acceptance, non-deliverability or non-collection of the goods in the parcel shop (if available). The repayment of the purchase amount takes place in this case minus the incurred return costs of the parcel service. An unfree return will not be accepted. We use different parcel services and others. also DPD with the paid Predict parcel service and take over the shipping cost surcharge for the customer. With Predict, the customer has the opportunity to redirect the package until shortly before delivery, thus enabling and guaranteeing deliverability. All offers of the CBDprime online shop are non-binding. Since the shop offer is revised at regular intervals, the prices stated at the time of ordering apply. All previous prices lose their validity with an update of the shop inventory or an article. 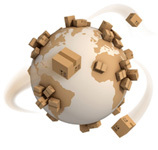 For deliveries abroad, any applicable duties and / or taxes are to be borne by the customer. The goods remain our property until full payment by the customer. For errors or technical problems that may arise on the Internet, we assume no liability. Austrian law applies. The information on this website is for general information only and is not binding. On this website are various links to other pages of manufacturers, etc. on the Internet. We expressly emphasize that we have no influence on the content and design of the pages to which links are made. Therefore, we can not guarantee the topicality, correctness or completeness of the information provided there. We expressly dissociate ourselves from all contents of these pages. This declaration applies to all links on our site to external pages and all contents of these pages to which the links lead. All image rights of images in the shop are in Alpen Sepp. Use without our express consent is not permitted. The ineffectiveness of individual provisions of these general terms and conditions or of the purchase contract shall not affect the validity of the remaining provisions. The invalid provision shall be replaced by the statutory provision.